Want a tiara fit for a real Princess? Oh yes please! Slip this gorge comb tiara into your hair for an enchanting look. 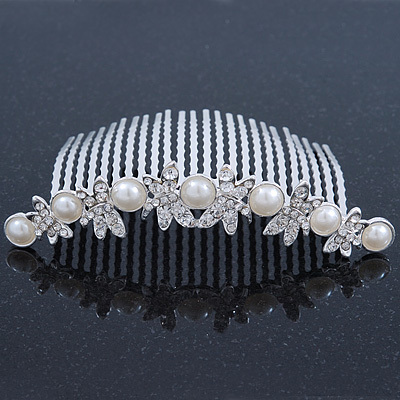 Featuring a rhodium plated hair comb decorated with clear Austrian crystal butterflys alternated with ivory coloured simulated pearls. The tiara is approximately 100mm across and is approximately 20mm in height. The comb is about 55mm in length. Sparkle away on your special day!